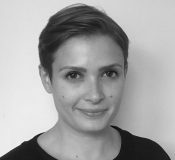 The latest episode of our Politics, As Usual podcast, rounding off the inaugural series of interviews delving into how political change happens, is a one-off special recorded during a recent panel discussion on the upcoming London Recruits documentary, chaired by Greg Power. 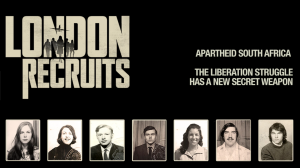 London Recruits tells the story of the men and women secretly recruited in Britain by the African National Congress (ANC) to run clandestine missions smuggling propaganda into South Africa during apartheid. By the late 1960s the ANC had been outlawed; the Rivonia Trial had led to the imprisonment of Nelson Mandela and other leaders of the liberation struggle on Robben Island, and the rest of the opposition movement had been forced into exile. Desperate to send messages of hope back to South Africa and spread word that the ANC had not been beaten into submission, ANC President Oliver Tambo sent Ronnie Kasrils, a young freedom fighter, on a mission to London to recruit young workers and students to join the anti-apartheid struggle. From 1967, Ronnie ran over 40 operations from London, sending the recruits with little or no back up into the heart of the apartheid regime. The missions were dangerous – smuggling banned literature and messages into the regime via hidden compartments in their luggage; detonating home-made bucket bombs that littered the streets with thousands of resistance leaflets; and playing speeches on makeshift bicycle sound systems at crowded train stations. The efforts of the recruits sent the message that the ANC was alive and well and capable of operating in the heart of the apartheid state, bringing hope to the oppressed. In signing up, many of them just out of their teens, they ran the risk of capture, interrogation and imprisonment. The London Recruits film, produced by Barefoot Rascals, tells the stories of the individuals involved in this incredible endeavour, combining testimony from the recruits, eyewitnesses and secret police with archive footage to uncover new insights into apartheid South Africa and the global solidarity movement. We are delighted to have been able to make a small contribution towards its development, and eagerly await its release early next year. To learn more about the film, visit their website. The book London Recruits: The Secret War Against Apartheid by Ken Keeble is available to buy online and in stores.